Sritharan told the OMP that hundreds of youth had disappeared from Mandaitivu, Allaipaddy and Mankumban from August to September 1990, as the Sri Lankan military launched an offensive. 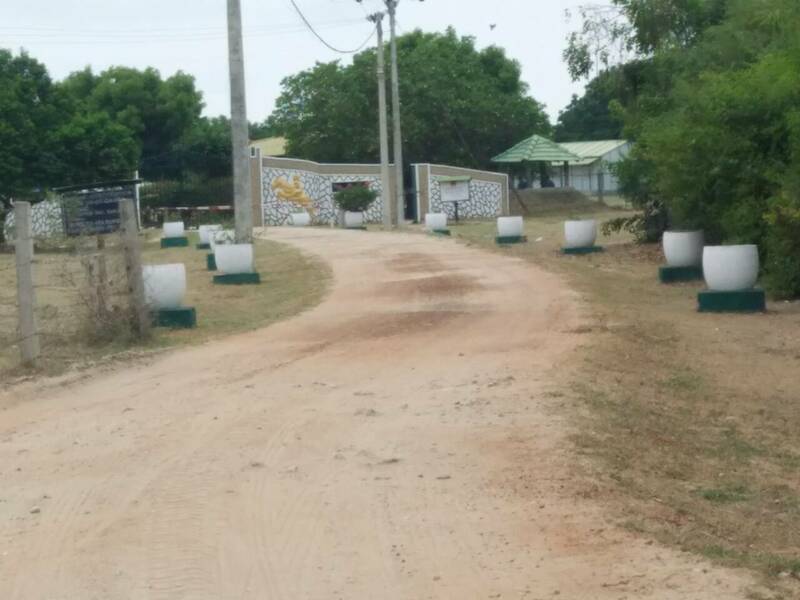 A report compiled by the North East Secretariat on Human Rights (NESOHR) details how the Sri Lankan military abducted dozens of young men from the villages, instructing them to recite “We don’t want Tamil Eelam” as it marched them away. Villagers also cite seeing Douglas Devananda, the leader of the notorious EPDP paramilitary group and former Sri Lankan cabinet minister, at the scene. The TNA MP said villagers continue to believe that the bodies of at least 119 of those forcibly disappeared may lay buried in wells opposite a church on the island, which the military has since sealed. Many of the parents of those forcibly disappeared have spent years, searching for their children, appearing before the 1995 Presidential Commission of Inquiry and having met with several political and military leaders. They still have no answers. The NESOHR report on the disappearance was handed over to the OMP by Sritharan who called for further investigations and excavation of the area. See the full NESOHR report on the incident and the names of 79 of the victims below. The three villages, Mandaithivu, Allaipiddy and Mankumban (M-A-M), are situated just across the Dutch Fort in Jaffna. From here the Sri Lankan military launched its operations. The majority of the people in the M-A-M villages were farmers, fishermen and toddy tappers. Prior to 1990 it was economically prosperous. On 23.08.1990, the Sri Lankan military dropped notices from air ordering people not to stay in their homes and to go to churches and temples. People were thus taking refuge in temples, churches and schools. The military entered the villages on 23.08.1990 and killed everyone who did not go to the temples, churches and schools. 20 people were brutally killed in this manner. On 23th August 1990 close to 500 young men between the ages of 15 and 45 were taken away from the PhilipNeri’s church in Allaipiddy. Hundreds of families had taken refuge in churches, temples and mosques after instruction from the military. This is the imagery created by the narratives of the families: The entire village took refuge in the church. The army came and rounded up hundreds of able-bodied men and took them away, tied together. The woman screamed and ran behind, begging the army to leave them. The Army threatened the woman with guns, shot over their heads and physically beat them back. Meanwhile, the army instructed the children to recite, “We don’t want Tamil Eelam". Most of the men were later released little by little over a period of 10 days or so. Again the army arrived early in the morning on 23rd August 1990 to a school and a Pillaiyar temple in Mankumban where the people were told to go. People were still asleep. The armed men hit the sleeping young men on the head and ordered them to get up. Sisters gave their babies to their brothers to hold in the hope that it will save their brothers. The story repeats. Less than two months after this second round up the entire military camp disappeared from the villages together with around 70 young men. What exactly happened to these men is still not known to this day. All the families speak of the presence of Douglas Devananda, the leader of the militant EPDP group that has now become a political party, and the late army commander Denzil Kobbekaduwa at the site. Families also speak of the assurance given by Douglas Devananda to the families that their children will be safe. The Jesuratnam family who are looking for three of their sons have the most detailed story to tell about the role of Douglas Devananda in this disappearance: They met Douglas Devananda in the first week of June 1991. He got the particulars and then told them that he will go to Anuradhapura and will inform the family. The family went to Anuradhapura about ten times between 1991 and 1992 to meet Denzil Kobbekaduwa and succeeded in meeting him five times. When the family contacted Denzil Kobbekaduwa on 17th June 1991, he asked the family whether they have contacted Douglas Devananda about their children. Again on 13th May 1992 Kobbekaduwa told them that he would visit the M-A-M villages and after that he will show the children to the family. They met Douglas again on 25th June 1992 when he assured them that he would speak to the family after a visit to the M-A-M villages. The family was called by the 1995 Presidential Commission of Inquiry. Theirs is the only family from the M-A-M villages that managed to attend the inquiry. This is because they were in Colombo and managed to get a date in Colombo. All the other families were displaced to Vanni during the period of the inquiry and were not contactable due to the communication and transport difficulties under the war situation. This family’s inquiry was held on 12th June 1996. At the inquiry the three commissioners instructed the family to ask Douglas Devananda about their children. They also promised to inquire from Douglas Devananda and inform the family but the family did not hear anything from the Commissioners after that. A total of 92 people were either killed or disappeared on these two dates. The bodies of some of them are suspected to be in the covered wells in Mandaithivu to which civilians cannot enter. Locals suspect the actual toll on these days is much higher. Below are some excerpts about the role of Douglas Devananda in this affair from what other families have said. “ Selvanayagam was 25 years old when he was taken away. He was fishing for his livelihood. They took my son-in-law as well and he was released the next day. He said that he saw Selvanayagam at the Aluminium factory drinking water next day / went with the other parents to see the army. My husband is sickly, therefore 1 went everywhere to search and complain. Douglas Devananda was at the Aluminum factory. We pleaded, begged and screamed to let our children go. They said they are keeping our children in Mandaithivu. Douglas kept saying that he will release them tomorrow. In reality they had no plans to release our children. My son was 25 when he disappeared and he looked like a prince. When he was young he got sick a lot and I took him everywhere for treatment. It would have been easier to bear it if my son died of illness. I cried to the army that my son is the only one who can take care of my family. My son wanted to give his sister away in marriage and give her a good life. Once he went the entire family was broken and destroyed.'"